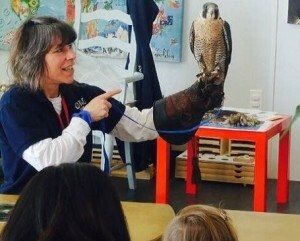 OWL is committed to educating the public on the conservation and importance of raptors. OWL offers education programs to suit different needs. For years, Elementary Schools in the Lower Mainland have included visits to or from OWL as a worthwhile addition to their study of raptors. OWL has also done programs for Daycares, Preschools, High Schools, and Post Secondary Education Biology Courses and Science Clubs. OWL’s Education Programs aren’t just for schools. We also offer Onsite and Offsite Programs for Senior Centres, Spring/Summer Break Camps, Regional Parks, and more. OWL has customized their education programs to suit different establishments and organizations. During the Spring and Summer Breaks, OWL visits different libraries around the Lower Mainland to present our Education Program. If you’d like to have OWL come to your library, click “Read More” below. 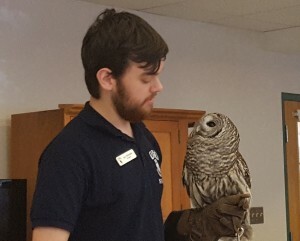 OWL also attends many events and celebrations around the Lower Mainland throughout the year and are always extremely popular with adults, youth, and children. 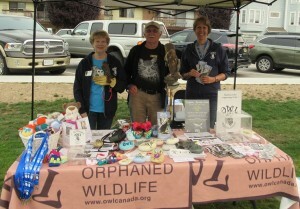 If you are interested in having OWL attend your event with a display, there is a required honourarium of $180.00. Please contact us for more information.